This weekend I said good bye to my microwave. It started making crazy sounds so we threw it out. At first, I was feeling strange without it. I realized that we use the microwave for a lot of meals. The microwave is convenient and fast. Life without it will be healthier. The challenge for me will be not to go and buy a new one. -More kitchen counter space. I love the space I have now. More room to bake. Or prepare dinner. 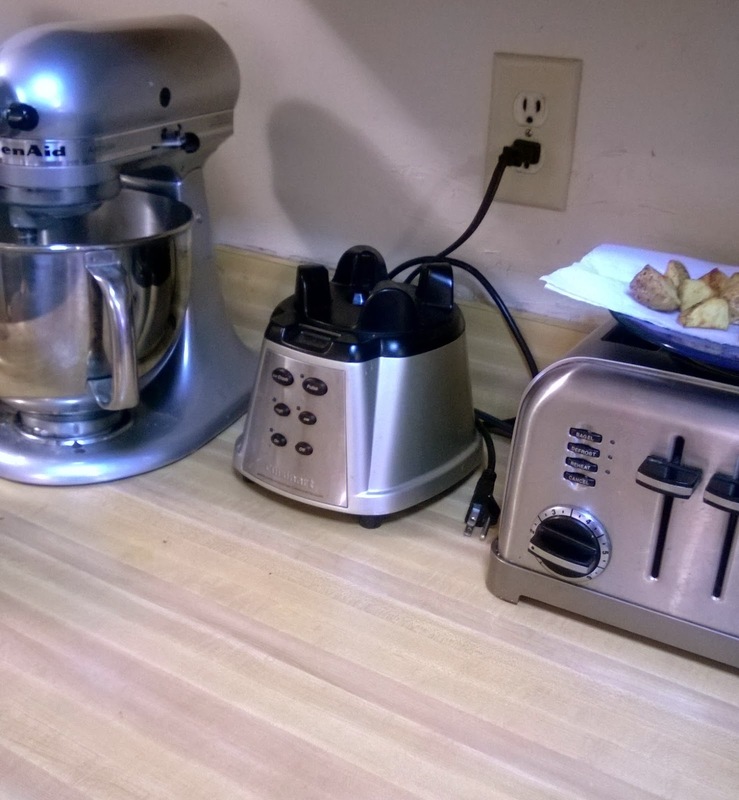 -The blender and mixer have a new home. These are the two appliances I should be using more often. I love baking and smoothies will help me push veggies into our diets. -Food really tastes better when cooked in the oven. French toast sticks come out nice and crunchy and not super greasy. Frozen pizzas are better in the oven too. -I've read articles that microwaves are not good for your health. -The quick and easy way out. So all in all, this will be a good challenge for me. When grocery shopping, I will feel better with my food choices. Cooking and baking by scratch is great because you have the power to put only healthy ingredients in your food. Do you live without a microwave? How has it changed your daily routine?